Native to the Fujan province of China. This tree has small white flowers that can bloom at any time. 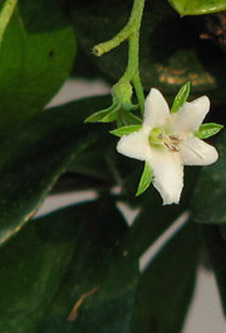 The foliage is dark green and small in size. The flowers turn into red berries that turn darker with age. Trained in the traditional layered style with a curved trunk. Loves the heat and does great indoors. 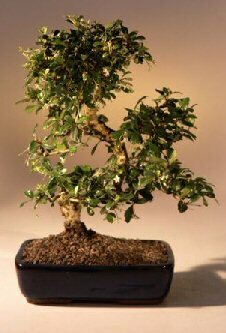 Recommended indoor, flowering bonsai tree, grown and trained by Bonsai Boy. Suitable humidity/drip tray is recommended. To purchase add $12.95.